Nearly all surveyed research laboratories (86 percent) use qPCR, compared to only 9 percent that currently use dPCR. 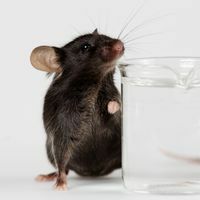 Despite 30 percent of researchers planning to adopt dPCR technology in the next year, qPCR is expected to remain the more commonly used technology. 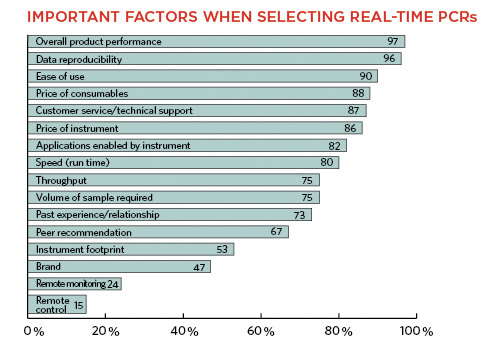 Readers rated overall performance and data reproducibility as the most important factors in choosing real-time PCR instruments, followed closely by the ease of use, price of consumables, and customer service. Neither the brand of instrument nor remote monitoring or control was considered highly important. Of all qPCR instrument and consumables suppliers, Life Technologies is the leading supplier by usage globally. Although respondents had fewer Qiagen instruments installed than Bio-Rad and Roche, the company appears to be gaining traction with its qPCR consumables portfolio. 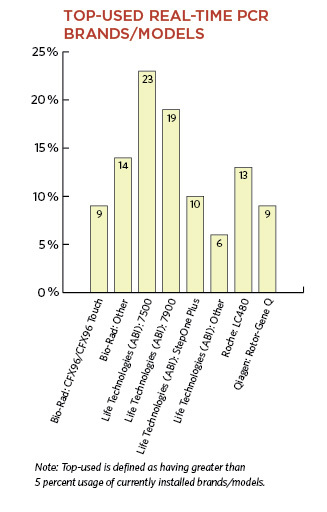 Integrated DNA Technologies, Sigma-Aldrich, and Promega do not provide qPCR instruments, but supply more than 15 percent of respondents with their qPCR consumables. 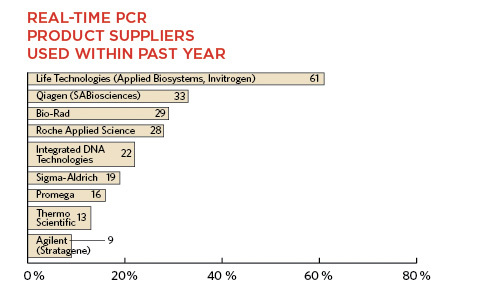 With few exceptions, qPCR suppliers are ranked highly by researchers.